Frank Guilardi’s family left Italy when Frank was only thirteen years old to come to the United States in the hope of sharing the same dream many folks in the Hispanic community and around the world aspire to: greater opportunities and a better life. Frank attended both Jr. High and High School in California. Due to his great academic effort and achievement and hard work he was admitted to the prestigious U.C.L.A. He graduated from UCLA with top honors and later continued his legal education at Loyola Law School in Los Angeles. Loyola Law School awarded Frank Guilardi the Dean Merit Scholarship, a very prestigious and distinguished award which is only given to four out of 400 entering students. This is equivalent to the top 1% of all students at Loyola Law School. Attorney Guilardi received his Doctorate in Jurisprudence from Loyola Law School and passed the California Bar Exam the first time he took it. 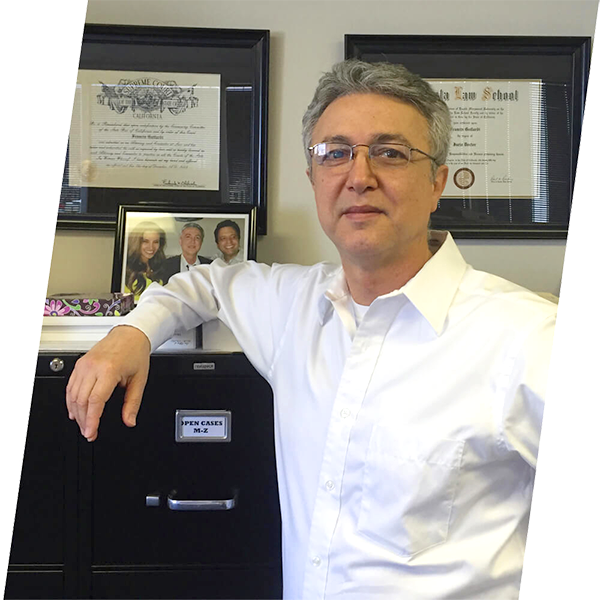 Attorney Frank Guilardi speaks Italian, Spanish, and English fluently.